In Bay Shore, NY, RestorationMaster is a premier provider of flood damage restoration services. This is largely because of our vast experience in the disaster restoration and cleaning industry, and the extraordinary levels of skill possessed by our technicians. No matter the cause of the high levels of water in your building, we will swiftly and effectively remove it, and return your home or business back to its original condition. A lot of events can lead to extensive water damage within buildings in Bay Shore, NY, but there are several common ones that jump out right away. New Yorkers are particularly familiar with harsh weather conditions. Severe storms can lead to flooding and major leaks, while extremely cold temperatures can cause pipes to freeze and burst. Another scenario that is common is when your main sewer line gets clogged, resulting in a sewage backup. In each situation, there are obviously a variety of consequences to be concerned about. Regarding simply high levels of excess water, structural damage and damage to the contents of your building should be your primary concern. 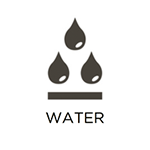 Water will penetrate porous building materials, cause damage, and then spread. Meanwhile, personal belongings, electronics, and more along the way can be permanently damaged, as well. A complication that occurs due to excess moisture is the growth of mold and bacteria. 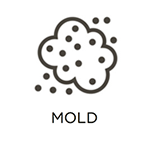 Mold is notorious for spreading its spores with ease once it takes hold, while bacteria can spread in different ways. Nonetheless, both can result in significant health consequences if they are not removed properly. It may be an unpleasant thought, but the presence of sewage is another situation that you should be aware of. When this occurs, the likelihood of infections and diseases spreading is greatly increased. It is extremely important to remove this harmful material while extracting water, and then treat affected areas. To make use of our flood damage restoration services here at RestorationMaster, feel free to give our representatives a call at (631) 206-6808. 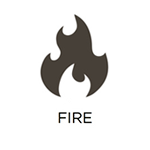 As stated above, we are available 24 hours a day to respond to emergencies. We are proud to work with homeowners and business owners in Bay Shore, NY.